Georg Baselitz, The Modern Painter, 1965, oil on canvas, 63 3/4 × 51 1/4". Among the works in the exhibition “The Heroes” was The Modern Painter, 1965, showing a male figure against a light background, some brushes sticking out of his backpack. This painter, however, is not able to paint, since both his hands are stuck in traps on the ground. 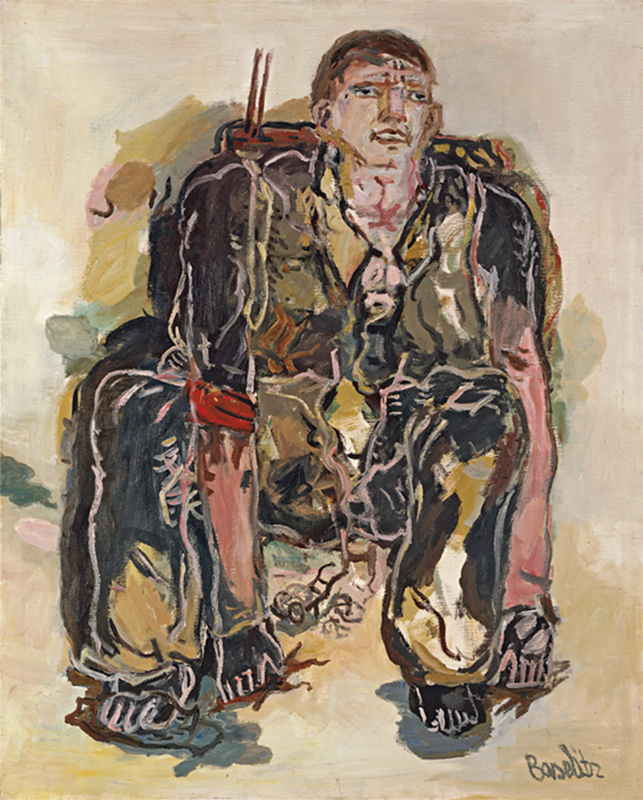 He is one of the many handicapped heroes that Georg Baselitz painted in the series known as “The Heroes” or “The New Types,” in 1965–66, when he was in his late twenties. 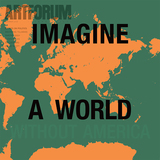 Forty of them were on display in this exhibition, together with thirty drawings from the same era.